Remote sensing technology is increasingly penetrating our lives — from satellite images underlying everyday routes on Google Maps and smartphones to the ever more familiar buzzing of camera-equipped “toy drones” flying above neighborhoods. The technology has leaped from early air balloon photography and cameras deployed on pigeons in the late 19th century to satellite, aircraft and now unmanned vehicle sensors delivering unprecedented spatial detail and options for custom data collection. The types and amounts of information collected by remote sensing platforms continue to expand, creating new opportunities to investigate the reciprocal human-nature interactions transforming the global landscape. In landscape research and planning, the most commonly used remote sensing datasets are aerial and satellite images that historically have been limited for site-scale research. Their major applications — mapping, measuring, monitoring and modeling landscape properties and changes — rely substantially on human or machine interpretation of various ground features and cover types. This may be difficult due to coarse spatial resolution obscuring recognizable landscape features and/or limited temporal frequency of historically available data. More recently, high-resolution landscape data have been increasingly available from state-of-the-art commercial satellites, low-flying aircrafts, unmanned aerial vehicles and laser-based light detection and ranging (lidar) sensors. These data provide novel insights into “mesoscales” where a high level of spatial detail is needed for research, yet where the larger spatial extents prohibit detailed and repeated ground surveys. Understanding ecological processes at these scales is key to many critical issues in landscape planning, conservation and environmental design. Fortunately, we are now seeing more rigorous and innovative strategies being applied for analyzing remote sensing data and linking with other ground-based and non-spatial information. 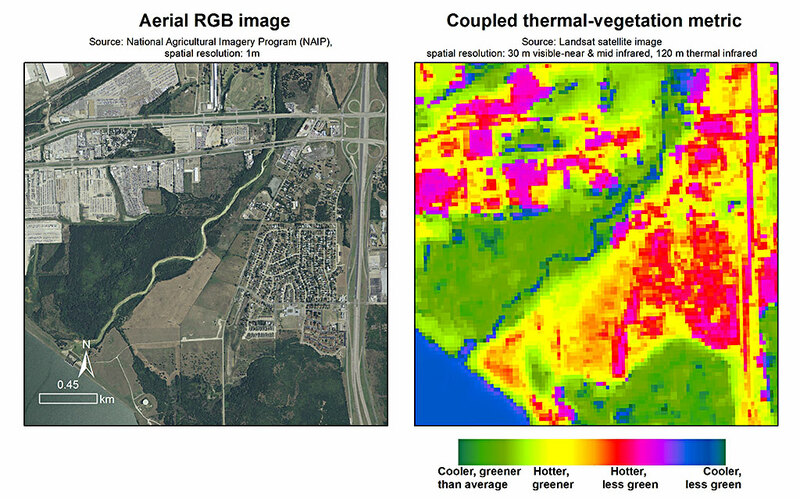 Aerial image coupled with thermal-vegetation metrics show the diversity of different fine-scale environments across urban areas. Wetlands are important targets in ecological restoration.  They provide protection against coastal flooding, pollution remediation, supporting biological diversity and various aesthetic and recreational qualities. Wetland ecosystems may also sequester greenhouse gases through plant growth and soil microbial processes. However, measuring these benefits is difficult — wetland environments are often spatially complex, hard to navigate, and often inhabited by sensitive plant and animal species easily disturbed by human presence. 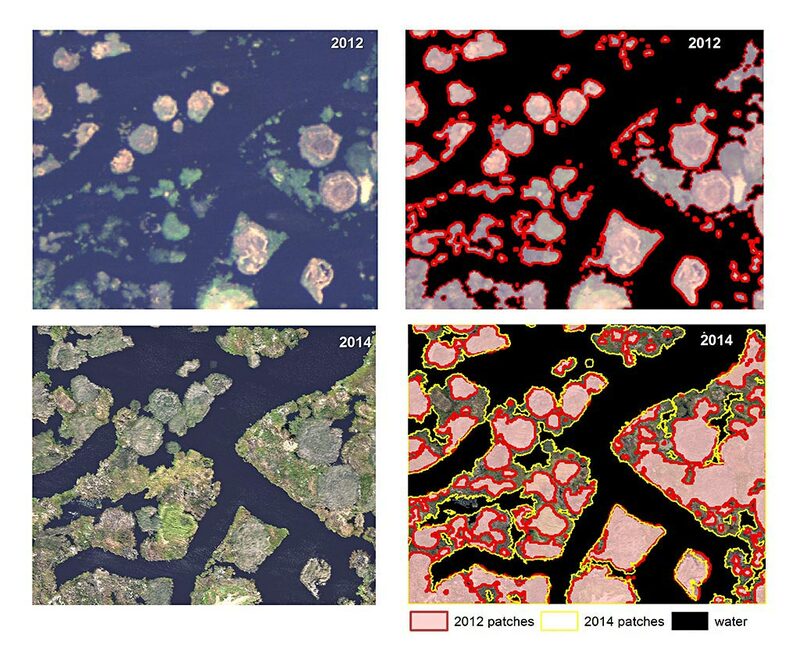 To address these challenges, high-resolution remote sensing allows monitoring wetland status at spatial detail revealing microhabitats shaped by natural processes and human effects. Monitoring is especially critical at early stages of post-restoration wetland recovery to understand how recovery may be affected by the initial site designs, to evaluate whether the sites follow their intended trajectories or harbor any unwanted hazards (such as aggressive exotic species), and to inform adaptive strategies to manage existing sites and design the future ones. Several projects in my lab are using remote sensing to understand post-restoration wetland dynamics and ecosystem services in California’s Sacramento-San Joaquin Delta — the region playing a critical role in fresh water supply to agricultural, industrial and residential demands of the state. 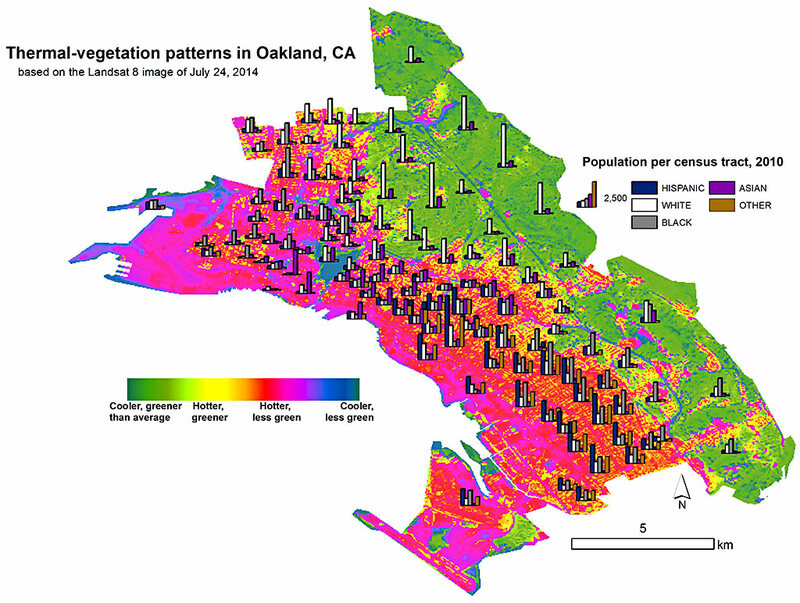 The distribution of urban population per census tract (2010 U.S. Census) relative to thermal vegetated patterns from a Landsat satellite image of July 24, 2014 illuminate issues of environmental justice. Similar assessments across different seasons and climatic regions may elucidate the exposure of population groups to risks and amenities associated with these patterns. Among various benefits of urban vegetation, local cooling and improvement of thermal comfort are especially well-known and important given increasing heat loads and dominance of built-up surfaces in cities. What is not well understood, however, is how these benefits vary with different vegetation types, management practices and urban morphologies. To facilitate this task, we use repeatedly collected optical and thermal satellite imagery to measure green vegetation cover and surface temperature and to develop metrics showing how different parts of the city deviate from “average” conditions. Because suitable satellite-based products are often relatively coarse in spatial resolution (grain), ancillary high-resolution imagery aids in interpreting these patterns from a “birds-eye” perspective. Because these metrics show relative, rather than absolute, distributions of urban conditions, they can be compared among different urban regions and other environmental, social and economic variables to better understand the drivers and conditions of human settlements, the hazards associated with extremely “hotter, less green” conditions, and differential access to urban amenities. Our current research is testing which remotely sensed metrics are especially sensitive to demographic and socioeconomic characteristics to provide cost-effective indicators for monitoring urban areas worldwide, including regions with scarce data. An example of landscape object delineation in an oak woodland. Traditional pixel-based classification (middle) fails to accurately distinguish trees and green grasses due to similarity in color among some of their components. Object-based mapping (right) allows to detect tree clumps as single entities and to separate them from grasses based on color, shape and intrinsic variation (texture). Rapidly advancing remote sensing technology offers powerful capabilities to assess landscape changes at different scales and investigate their relationship to various intrinsic and external determinants. This potential can be especially useful in complex areas where massive “ground” data acquisitions are too costly and impractical, such as urban regions, restored wetlands and other human-designed and managed landscapes. High-resolution imagery is especially promising to facilitate cost-effective yet informative monitoring at the scale of individual sites and thus should be more rigorously utilized to inform landscape planning, design and management. 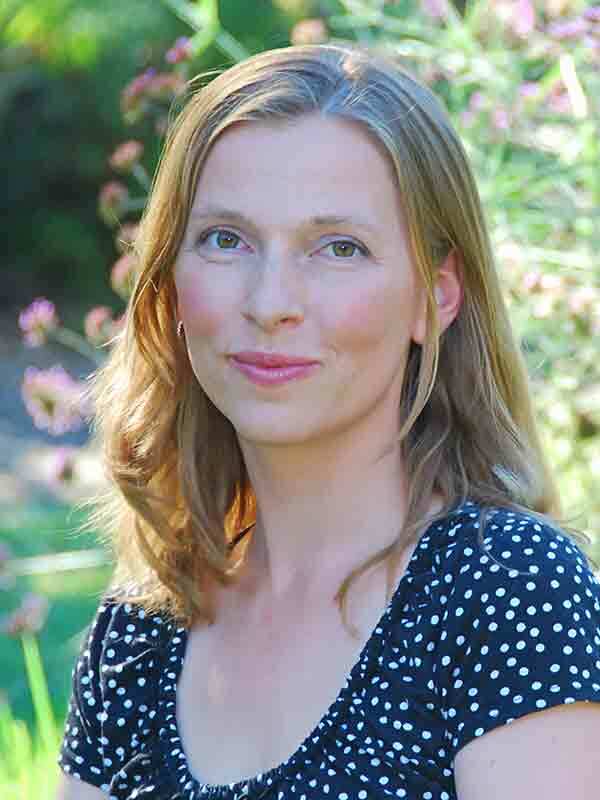 Iryna Dronova is an assistant professor of Landscape Architecture & Environmental Planning at CED. 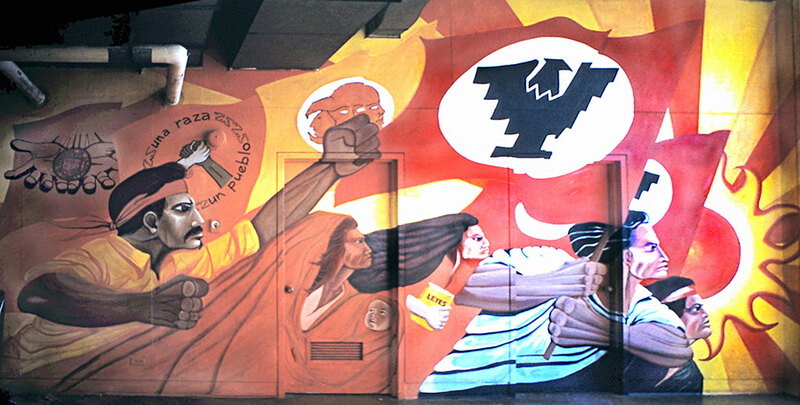 She completed her PhD in Environmental Science, Policy & Management at UC Berkeley in 2012, and received an M.S. degree from the School of Natural Resource and Environment at the University of Michigan, Ann Arbor and a B.S in Ecology from the National University of Kyiv-Mohyla Academy, Ukraine. Her previous research included applications of vegetation and landscape ecology; remote sensing and geographic information systems (GIS) to study ecosystem properties and change in grasslands of Ukraine; transitioning forests of northern Michigan, USA; and large wetland biodiversity hotspots in PR China and California, USA.